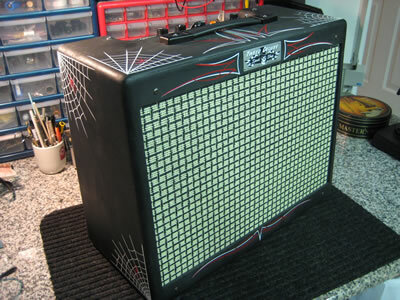 One-off works of Art inside and out, Kustom Series Amplifiers embody the Speed Shop's ultimate self-expression and creativity. Created by the Speed Shop in conjunction with artists, painters and fabricators, each unique combo exemplifies the zeniths of performance, aesthetics and imagination. 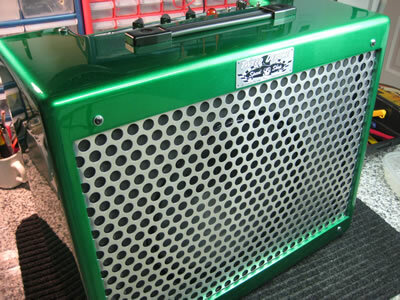 Intriguing decor for home and/or studio and a distinct visual effect for stage, video and photo shoots, Kustoms are not only bodacious sounding 5E3 Tweed Deluxe amplifiers but functional works of art; incredible conversation pieces that never fail to elicit a "wow" from everyone who sees them. 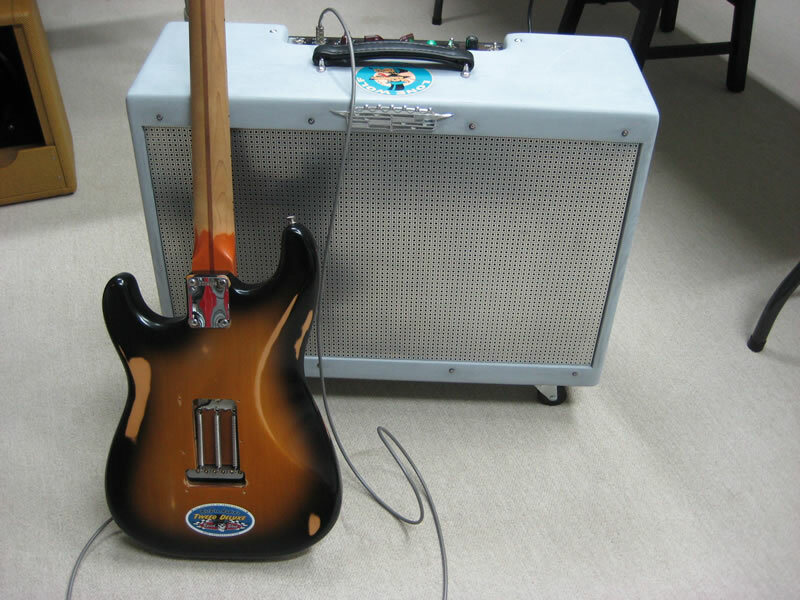 Kustom amplifiers are closely based on Fender's 5E3 Tweed Deluxe circuit, subtly enhanced with proprietary Speed Shop Studio-Series tuning for best-of-class vintage performance. 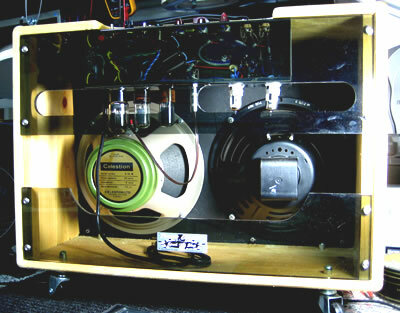 Utilizing the finest in new, NOS and vintage components, no two Kustom chassis are alike, as differences in iron, capacitors, speakers, valves (and the overall scarcity of top-quality vintage components) render each amplifier unique in its own right; with each chassis possessing an individual sonic signature. 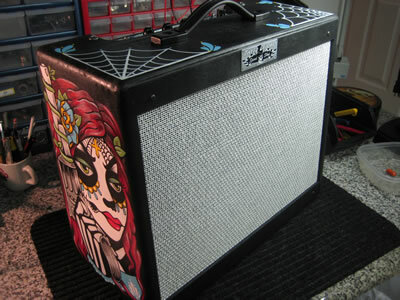 Directed by Rondo, each Kustom amplifier cabinet is hand-finished by Artists and Artisans; from Kar Kulture paint and pinstripes to Folk Art renderings, skilled craftspeople are contributing their expertise. Each individual cabinet design is unique unto itself, no duplicates will be made. Drawing on '50s, '60s and '70s themes, Kustom Kulture finishes include Hot-rod metal-flakes, candys and pearlescents, flat and primer Rat-Rod treatments - all shot at custom body shops in real-deal, multi-stage applications - as well as old-school stripes by original So-Cal line-painters, and perhaps a bit of hardware from the boneyard. Folk art themes include Mexican "Dia De Los Muertos" (Day of the Dead) as well as American Folk Art motifs, hand painted by accomplished Artists from around the United States. 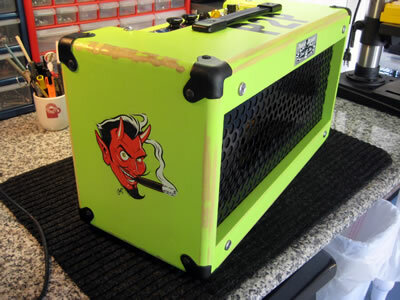 Each Kustom amplifier design is limited to a production run of 1, signed and numbered by Rondo and participating artists. 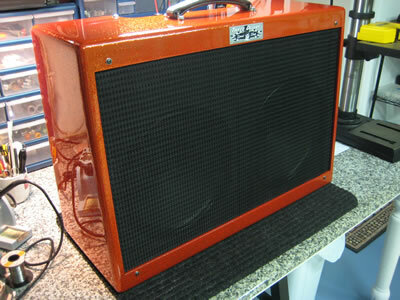 Feel free to call 239-689-5941 or write Rondo to inquire about current Kustoms inventory. Please call 239-689-5941 or email regardng Kustoms inventory.